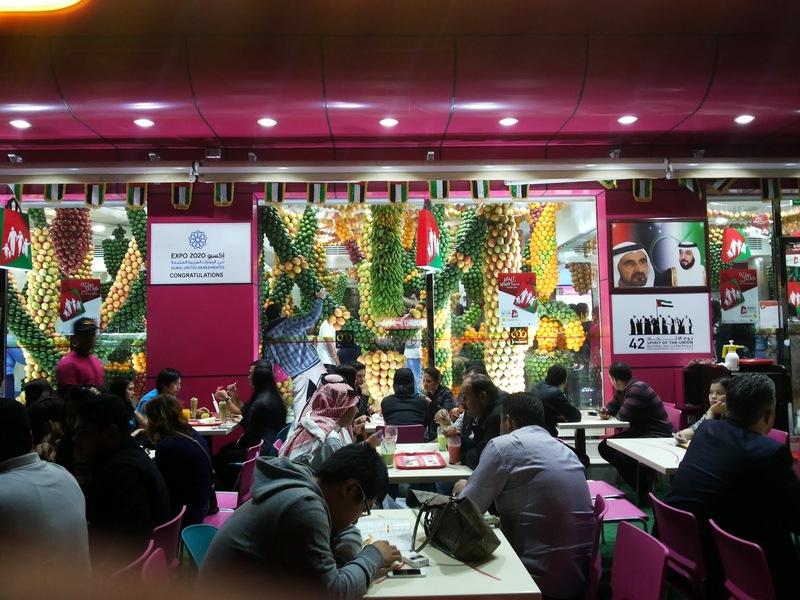 We all know or have come across at-least one of those arrogant people who consider Dubai's social boundaries to be around Jumeriah, JBR, Marina, JLT and downtown. Being scared to cross the Maktoum bridge at night, they miss out a lot happening in the rest of Dubai, luckily I'm not one of them. For me anything and everything can be fun if explored correctly. This weekend I explored two such interesting places which lie in the 'forbidden parts of Dubai' as per the some people I know. 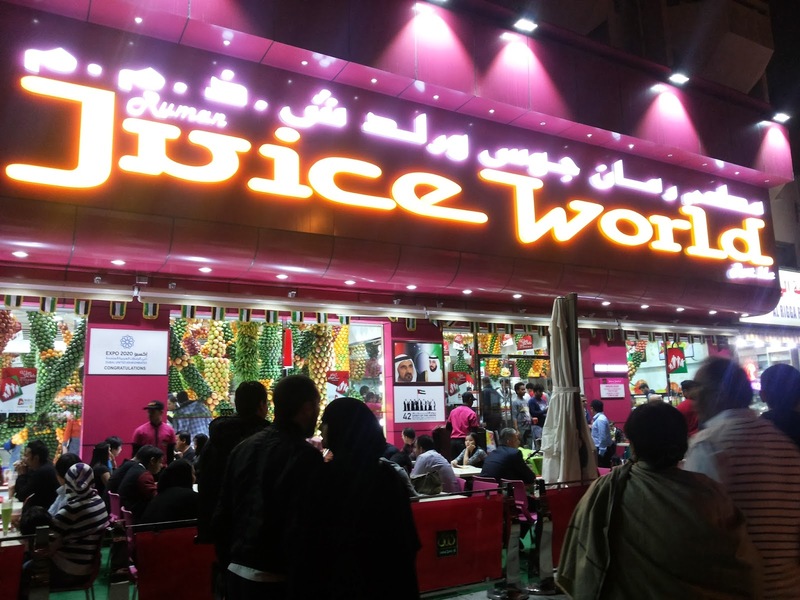 First up is juice world located right across Al Rigga metro station. This place opened up sometime in November and is a crowd puller even in freezing temperatures. 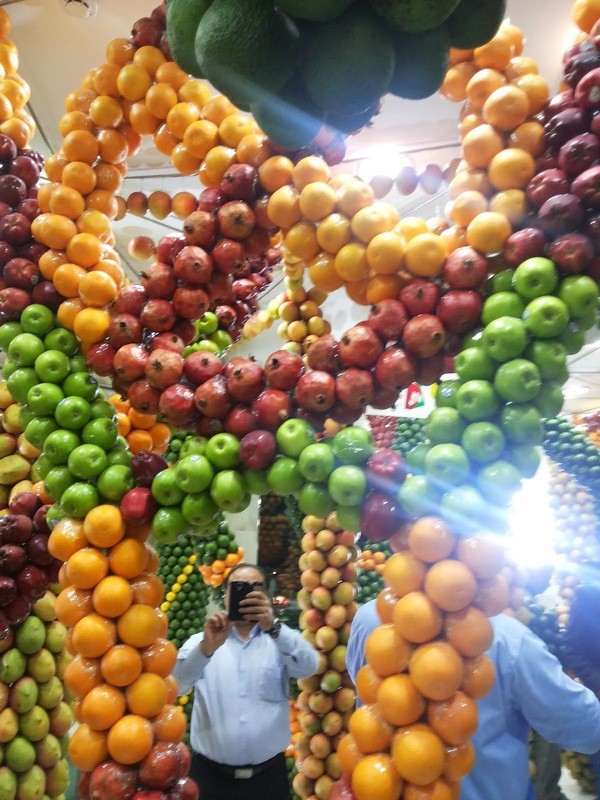 What attracts people the most is their creative and colourful decor made up of real fruits. 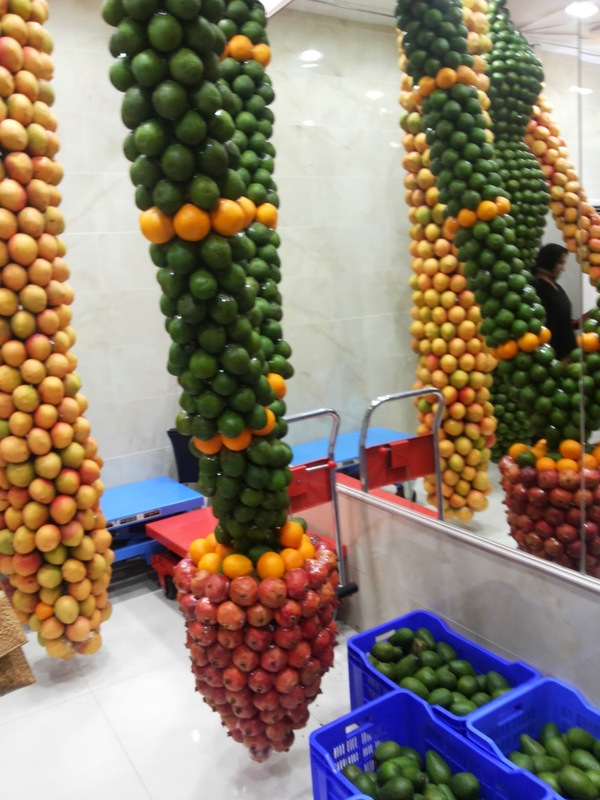 Yes edible fruits which are changed every four days by the 40 staff members in this one joint. 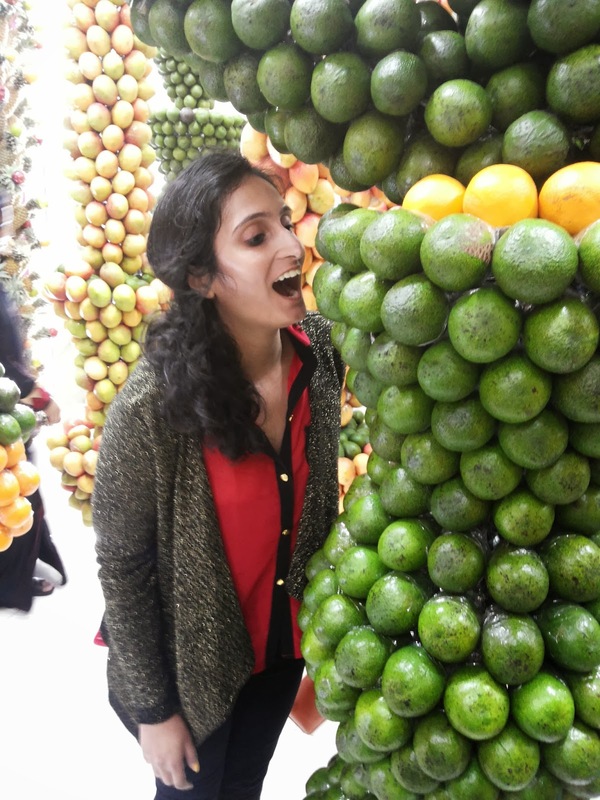 I'm sure you have the same question as I do, what happens to the fruit? Are they wasting that much food? The answer is something that pleased and upset me. 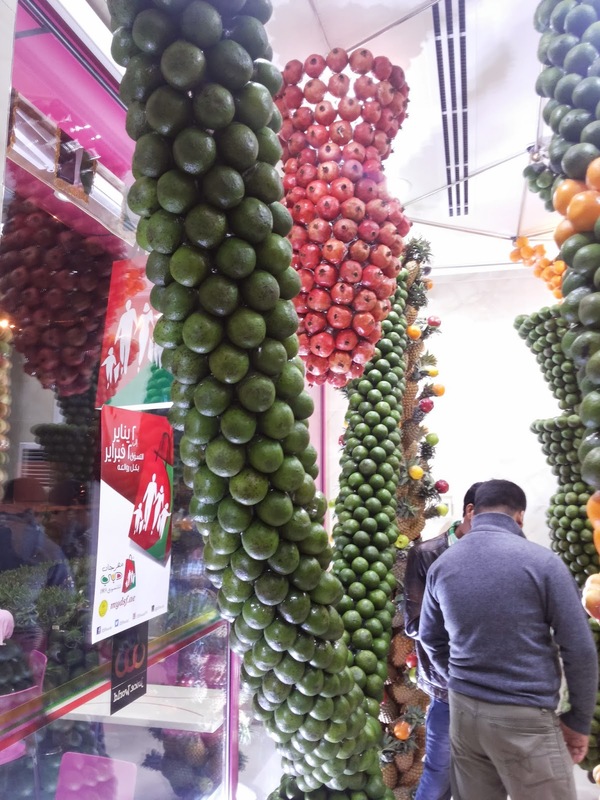 They use most of the fruits that are still edible, sadly throwing away the rest. I'd say the price of this art is a little too much considering there are so many people in the world who go to bed hungry due to the lack of resources. Coming back to Juice world, they have an open and upstairs seating so you can choose any depending on availability of tables. We kept our order simple pomegranate juice, strawberry and chocolate milk shake, everything without sugar and ice. Well they did not seem to get the order right, our milk shakes were full of ice, while the juices were on the mark. 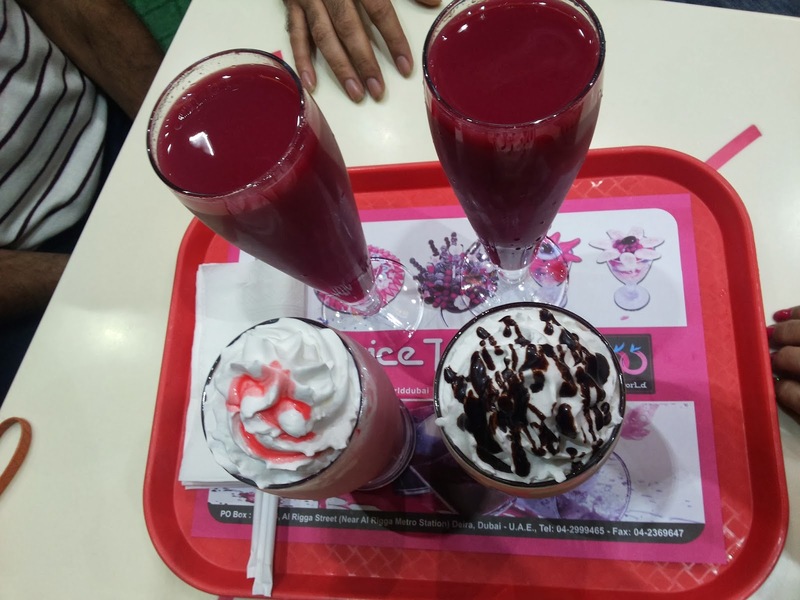 I am a big fan of shakes and that too chocolate, but juice world was a disappointment in that field. 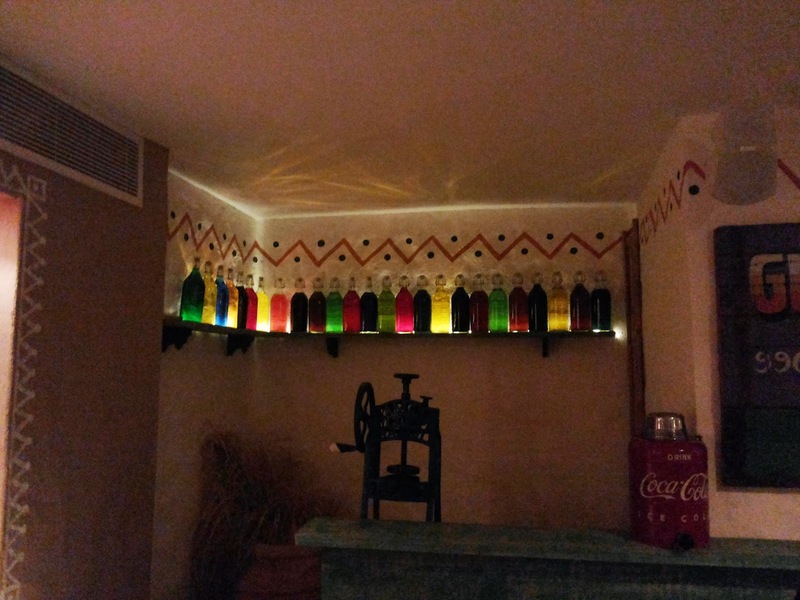 My suggestion is stick to the fresh juices, they are healthy (and really cold, they don't have anything at room temperature here, so avoid it if you have a bad throat/cold) and come in a tons of flavours and sizes. They have fruit salads and the kulfi faloodas as well. 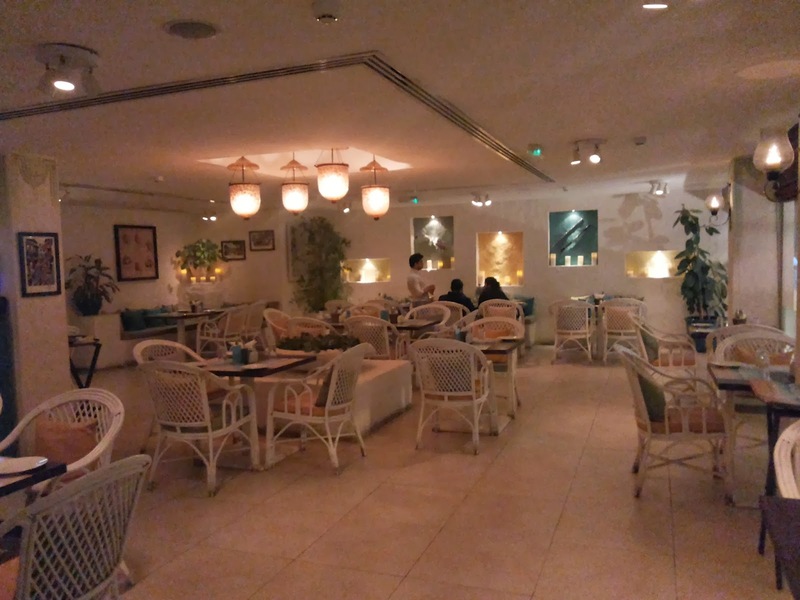 The juices start from AED 10 - 12, for a medium glass they also serve small and large portions. The next place I explored this weekend is hidden in one of the many lanes of Karama. 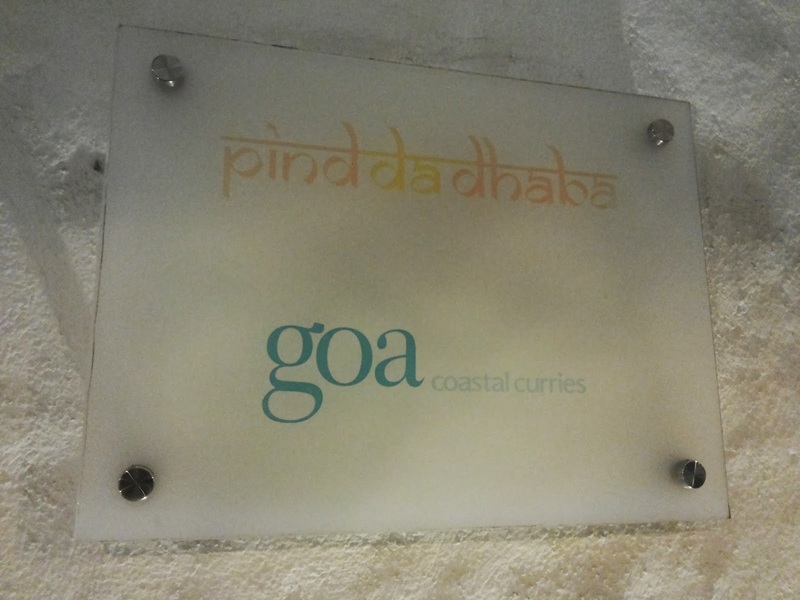 Pind Da Dhabba and Goa Costal Curries operate under the same roof, and I'm pretty sure come from the same entity. 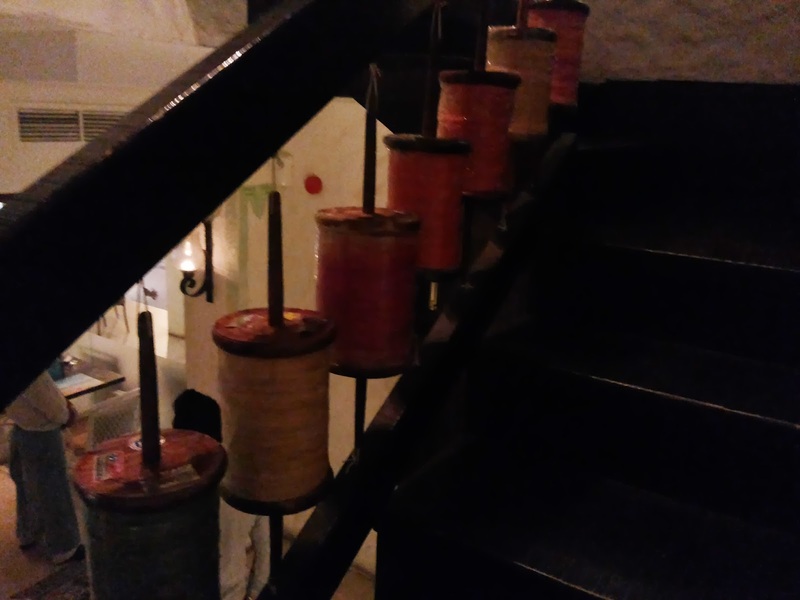 While the soft lights and serene white decor of Goa Coastal Curries invites you in, the place is completely transformed the second you get on the stairs, climbing up to experience North India. 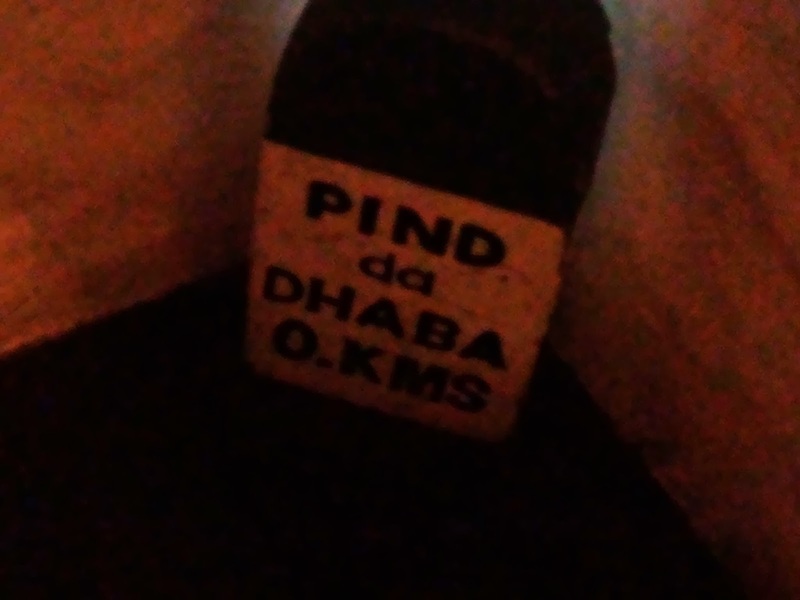 Pind Da Dhabba with traditional bangles, manja (thread used for flying kites) colourful bottles, an open auto rickshaw and vessels common to Punjab this place can hold a candle to the multiple dhabba themed restaurants of Mumbai. 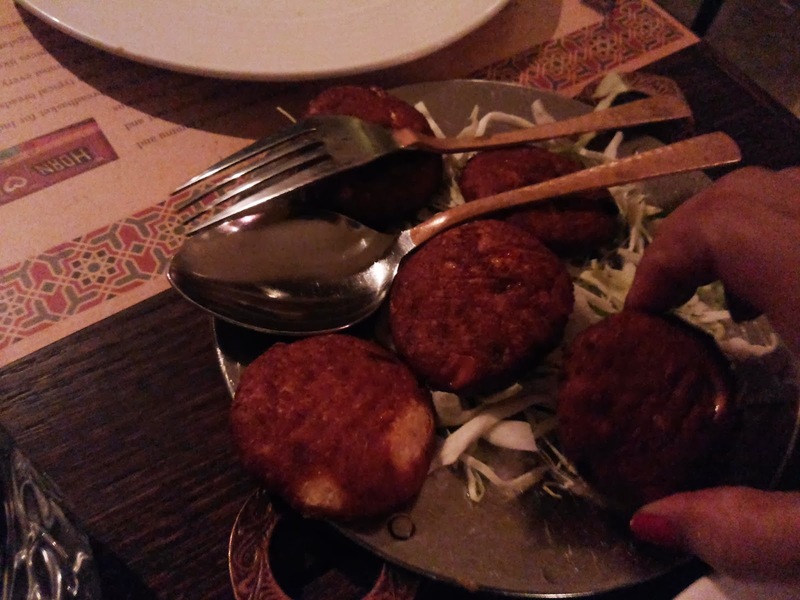 My family is on a eat healthy and loose weight mission which has led to a reduced apatite so our order consisted of a non veg platter and veg yogurt kebabs for appetizers. We were served papads and chutney while waiting for our appetizers. The chicken was soft and thoroughly cooked and well seasoned, the veg was quite delicious as well. 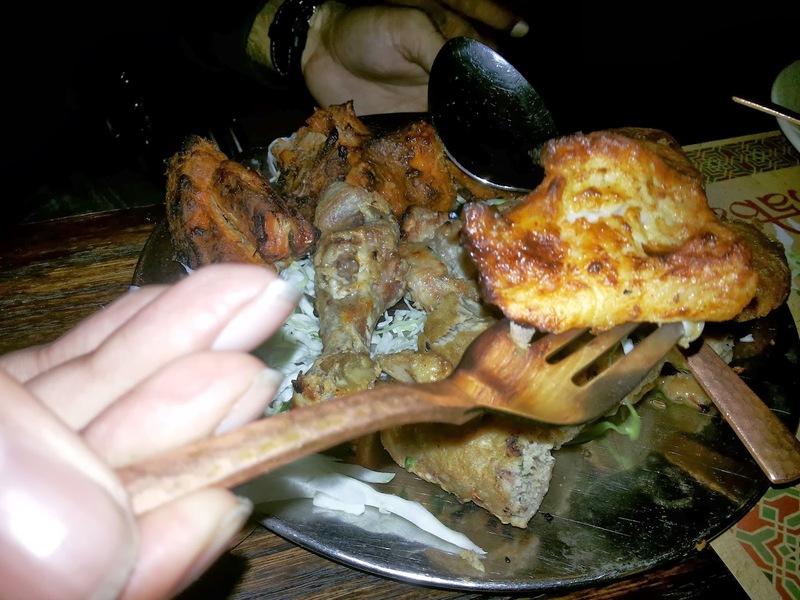 For main course we ordered the chicken biryani, methi malai mutter and rotis. The chicken biryani was absolutely yum, I totally hogged on it, but the methi malai mutter was a complete miss, it was less methi and malai and only mutter (peas). For someone who hates peas, that dish was a turn off even to look at. Even my parents hated the amount of peas in it, though the taste was okay. 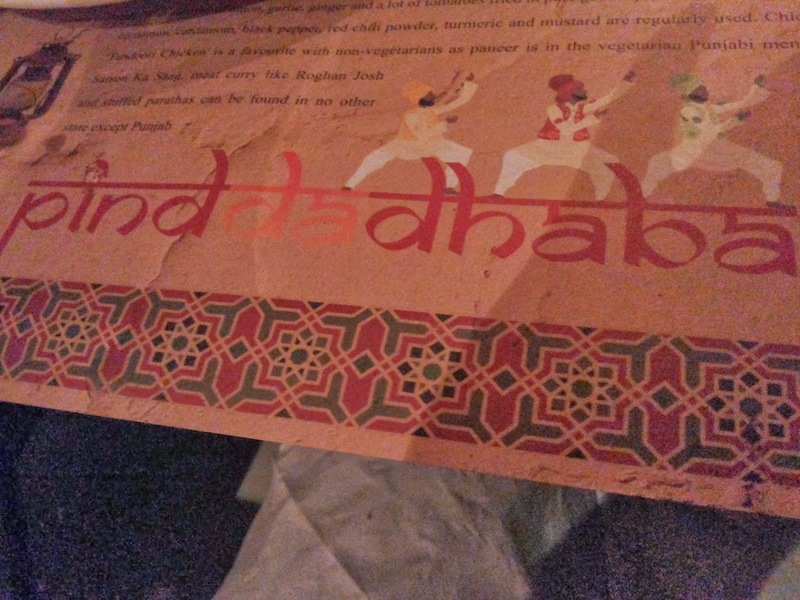 What i found interesting was at the end with the bill we were served with sauf (cumin seeds) and jaggery as opposed to the misri (kind of sugar granules). 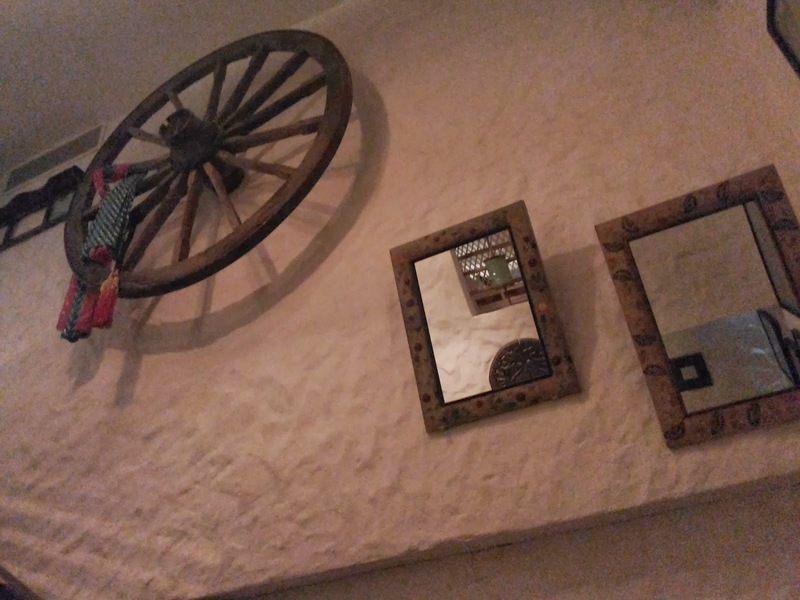 The food was well priced and the ambiance was cozy and fun with Punjabi music playing in the background. 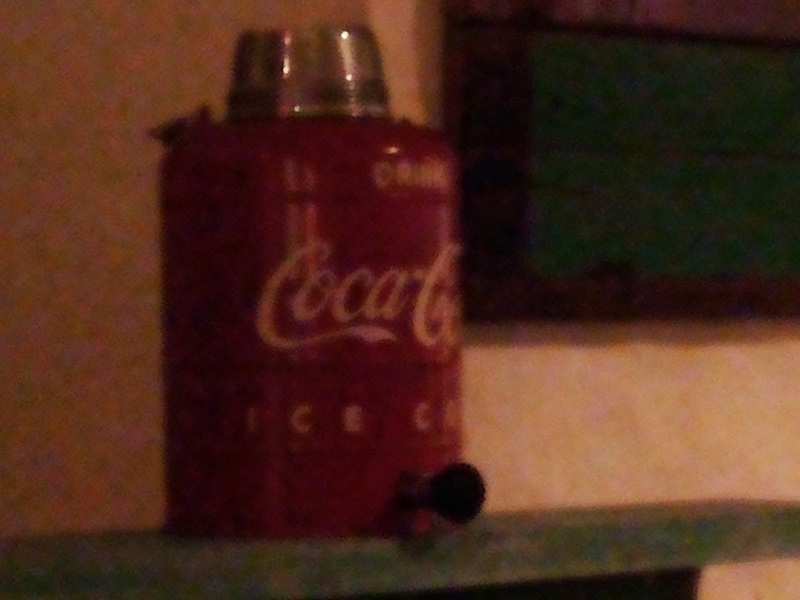 So I tried two new places this weekend. With tomorrow being a holiday this weekend is not over yet, so go out try something new and do not be scared to explore even tiny places in different parts of the city. Eat healthy and enjoy the weather!